Same music directors, same year, similar (?) title... 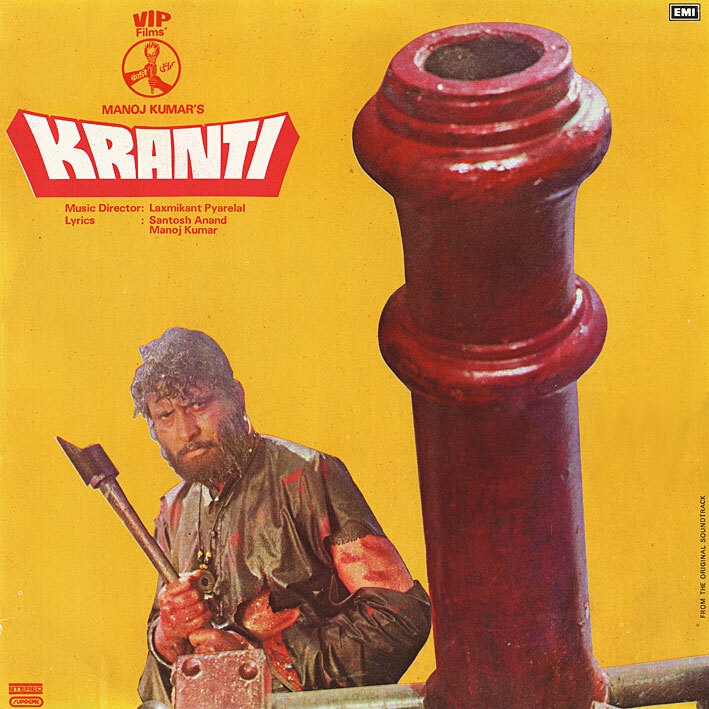 I was kind of hoping this one would be cool though, what with a bloodied axe wielding bloke and phallic cannon on the cover... but nah, I don't really fancy 'Kranti' much. 'Chana Jor Garam' is almost OK (I have a soft spot for accordions), and there's a wicked drums and screaming trumpets intro on 'Ab Ke Baras' that I'd love to hear sampled (it's not included on the YouTube clip, so you'll need to download it). The rest of the album... too dime-a-dozen. I simply cannot wait for "Amar, Akbar, Anthony." Many, many thanks dear friend.